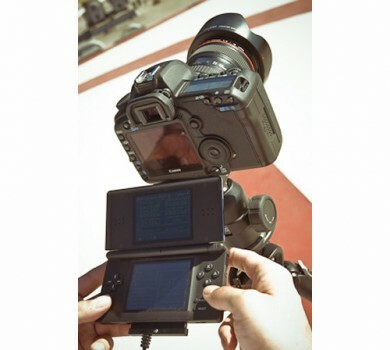 And I always thought gaming and photography are different disciplines 😀 A group of ingenious photographer at HDRLabs have created a piece of software called the Open Camera Controller (OCC). OCC works with the original Nintendo DS console and allows you to control the functions of a DSLR via a cable interface connecting both devices and a Homebrew software running on the DS. Sounds neat doesn’t it? The Open Camera Controller allows you to control the basic functions of your DSLR as well as give you some of the more nifty features like the ability to capture timelapse shots with a built-in alarm and triggering the shutter by clapping your hands instead of pressing a button. If you’re looking to procure an OCC-based controller for your camera, sadly, HDRLabs does not sell it’s units. In return, they have graciously provided complete and comprehensive instructions on how other people can build their own (so no, unfortunately it’s not for everybody, just those who can handle soldering stuff on their own). 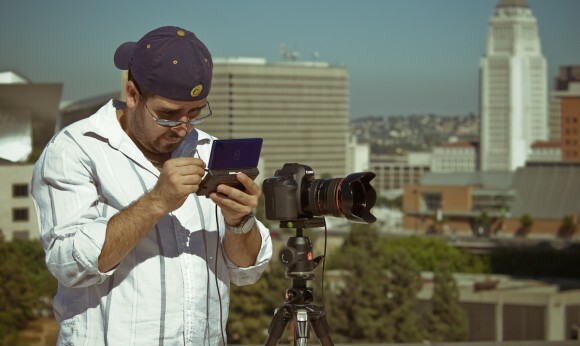 Once you’ve managed to build your interface, you can download and install HDRLabs’s open source collection of applications to your DS and play with your camera (relatively speaking of course). Bracket – Original prime application for extending Auto Exposure Bracketing. Can also remote control automatic panoheads. Super-customizable to fit many different cameras. Full documentation available. Intervalometer – Timelapse shooting with built-in alarm clock. No need to get up yourself an hour before sunrise, your DSLR will start shooting by itself. Astro Script – The ultimate sequencer. 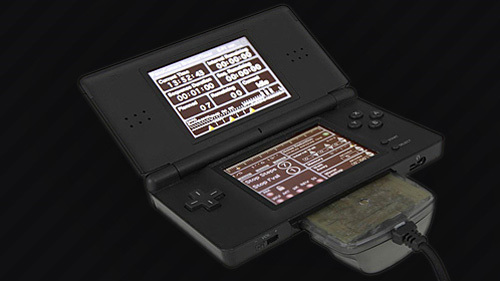 A scriptable tasklist to create advanced shooting programs, right on the touchscreen of your DS. Dark-red interface for all-night astro photography. Sound Trigger – Puts a new meaning to the word “snapshot”. Just clap to snap a picture. Or yell across the room. Or use your DSLR as a security camera. eManuals – Cheat sheets with quick reference documentation to popular photo gear. Canon 5D, AstroTrac, SpyderCube and more. Source code includes converter to make your own from image files. The OCC was tested with the Canon 30D, 40D, 50D, 5D and 5D Mark II, with Sigma DSLRs, the Casio EX-FX1, and the Olympus E-P1. Too bad it doesn’t work for Nikon SLRs, I would have jumped right in. Still it’s an interesting piece of technology don’t you think? Polaroid makes an instant camera comeback with PIC-1000! I would love to be able to do this with my Nikon D60? What do I need and how do I do it? Thank you.